As a mother I have found that all of my children have enjoyed their baths. With baths comes bath toys, which means you need to have a place to store everything. 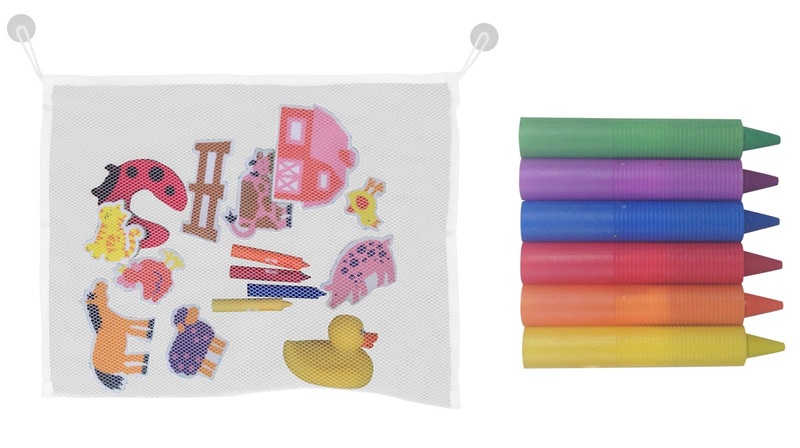 I really like that this bath toy bag came with some bath crayons. The children love to draw with these on the walls. 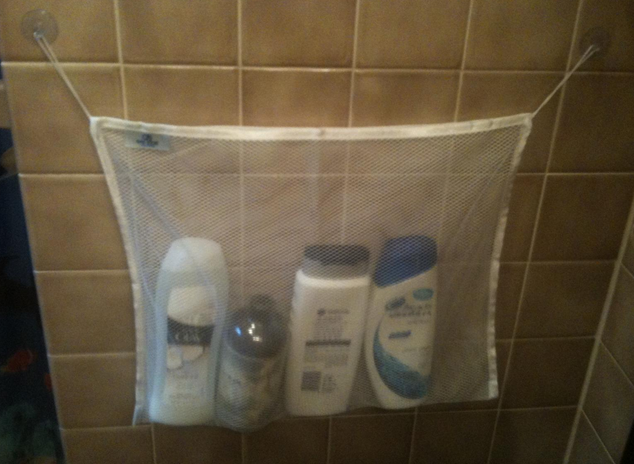 Even if you don't have children you can still use the bath storage bag for items adults would use like shampoo, body wash, and the like. Just gift the crayons to a family member or donate them near the holidays. 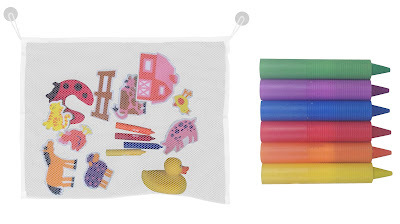 You can purchase the Bath Toy Net & Crayons on Amazon. This bath net attaches to your tub wall via suction cups and holds toys and/or sponges. The bath crayons are made from soap. (Literally, they are colored soap.) They come in plastic holders. To clean them off the tub wall, simply use a wash cloth. They come off easily. Great for writing notes in the shower if you're an adult too.